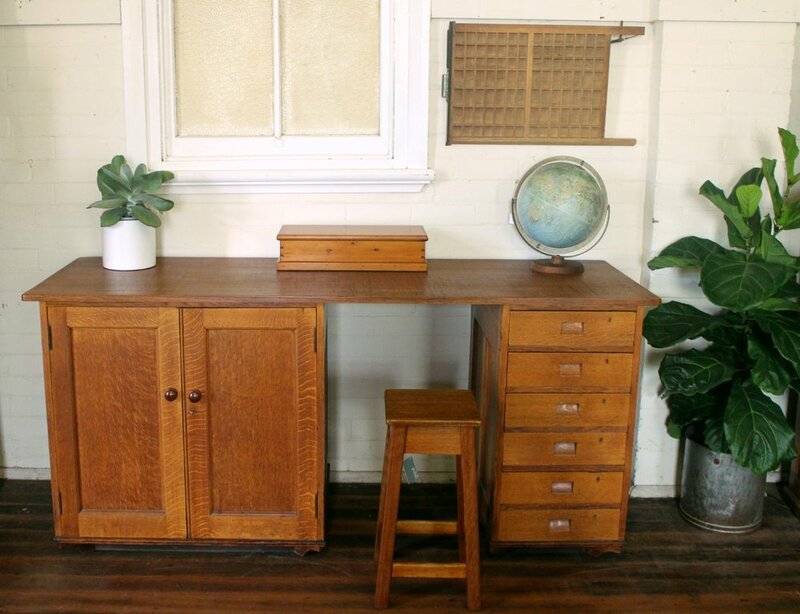 An English Oak Tall Desk or Counter. Made of fine quality oak with a lovely grain. This piece would work well as a stand work station, island bench or shop counter.